Larissa Theule holds an MFA from the Vermont College of Fine Arts and is the author of three forthcoming picture books. She lives in Pasadena, California, with her family. Kelsey Garrity-Riley earned her degree in illustration from the Savannah College of Art and Design. She illustrates books, magazines, greeting cards, and window displays. She lives in Brooklyn. "An important part of history engagingly told"
"Garrity-Riley's sunny art features round-faced, pink-cheeked characters; a palette of blues and browns, highlighted with splashes of red and yellow; and many period details. 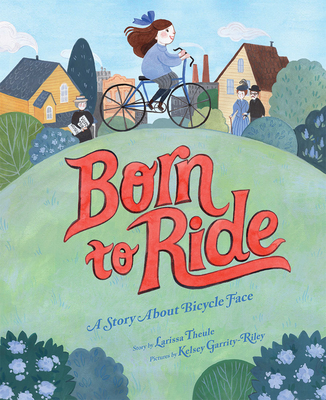 A visual subplot involves the children's mother, who is depicted painting voting rights posters, welcoming fellow suffragettes to tea, sewing her own bloomers, and taking a bicycle ridewith her daughter." "Simple but thoughtfully detailed, Garrity-Riley’s illustrations incorporate multiple references to women’s suffrage campaigns."